A few weeks ago I was in London, which is probably my favourite place in the world to be. Seeing as I don't get to London as often as I would like my days here are often non-stop. I like to pack in as much and see as many people as possible. 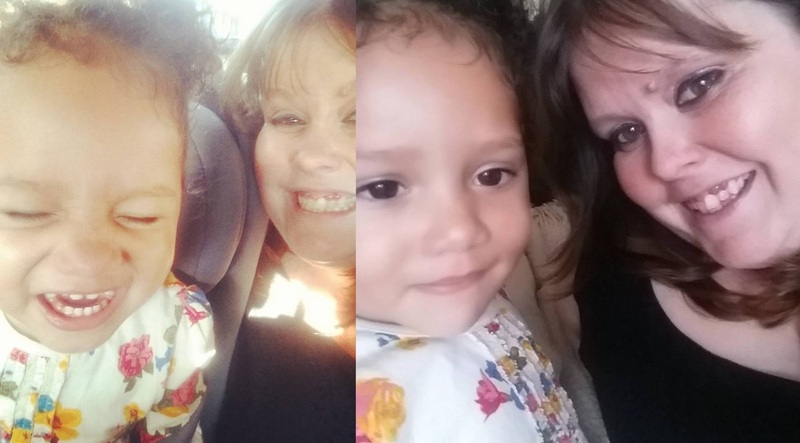 One of the days I was there I wanted to catch up with Leighanne from Bump & Beyond and her daughter Darcy. Some of you will know that Leigh and I used to live together and I actually lived with Darcy for the first few weeks of her life too. Darcy was the first baby I held properly and I can't believe how fast she is growing up. 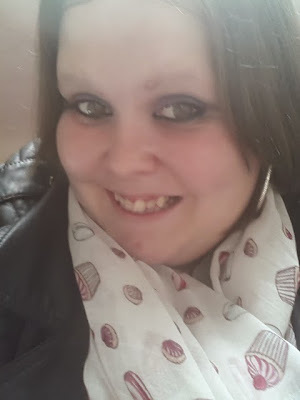 The journey to visit Leighanne in North London is just over an hour of public transport so I knew I wanted to wear something comfortable, especially as I knew I'd be going out in something more dressy later that evening. I decided that this dress from New Look would be perfect. It's a darker dress than I would often wear, but I have decided to try and step out of my comfort zone a little. It's a nice dress to throw on and know that you'll be comfortable. It looks great and I would probably wear it without leggings or at least with flip flops in the nicer weather. Of course it was a standard autumn day - nice and bright but a bit cooler than you expect, so I threw on leggings with it. They're also from New Look - they're high waisted so they give a nice amount of support when I wear them. I found them a bit long, but that's pretty much the story of my life when it comes to leggings! As I didn't know how long I would be waiting around bus stops I thought a cardigan would be pretty wise too! The bag is from New Look (Pink Laser Cut Out Shopper Bag) and has fast become one of my favourites for every day use. It's a brilliant size to throw stuff into and know that you'll still have room for a bit of shopping if you want to. 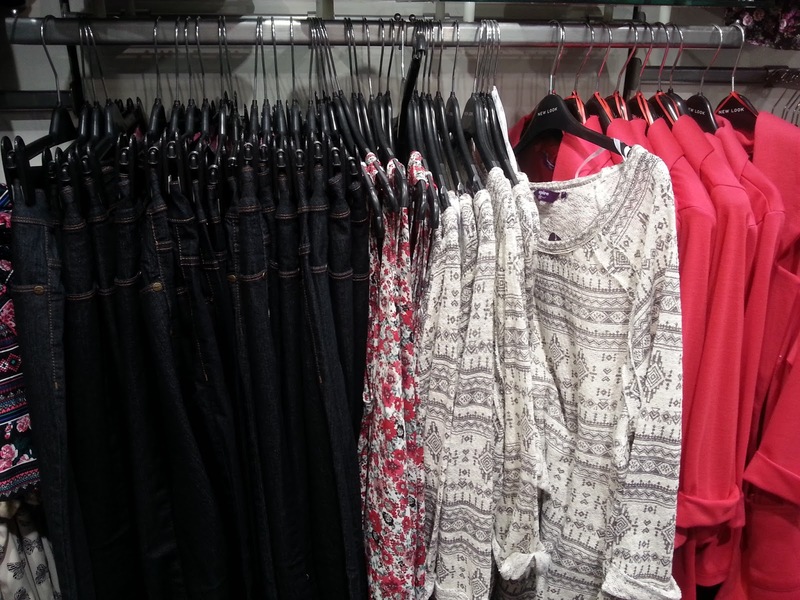 What are your favourite New Look Inspire items at the moment? 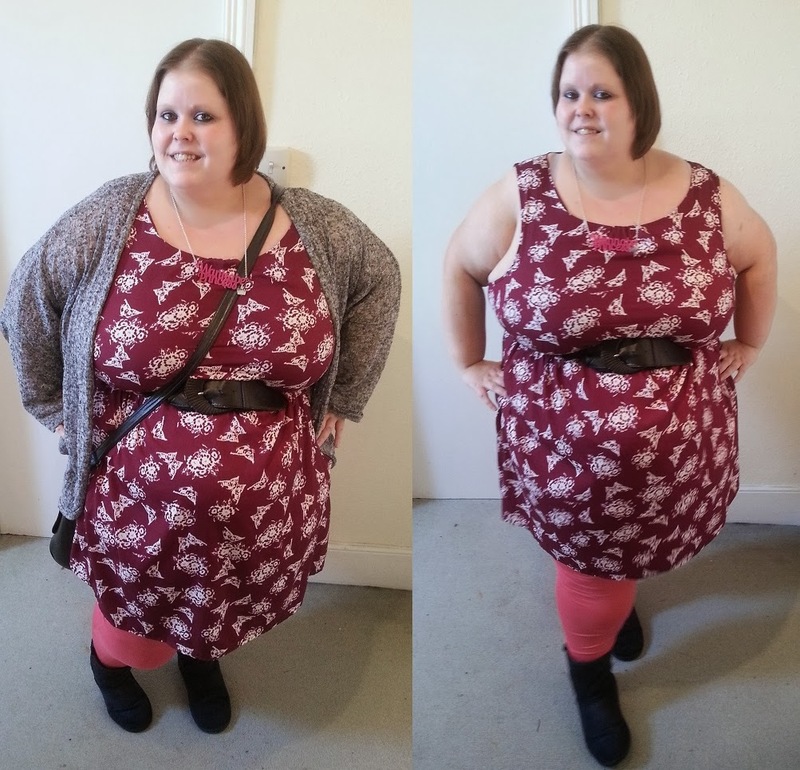 A few weeks ago New Look Inspire were kind enough to send me this lovely maxi dress. 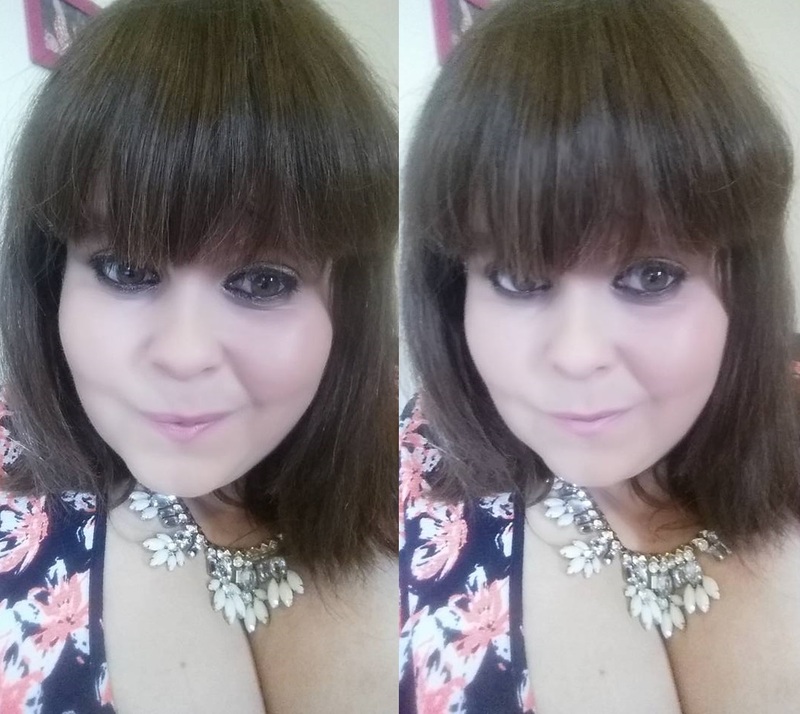 As affordable, plus size fashion goes New Look Inspire seems to be doing so well for 2015. 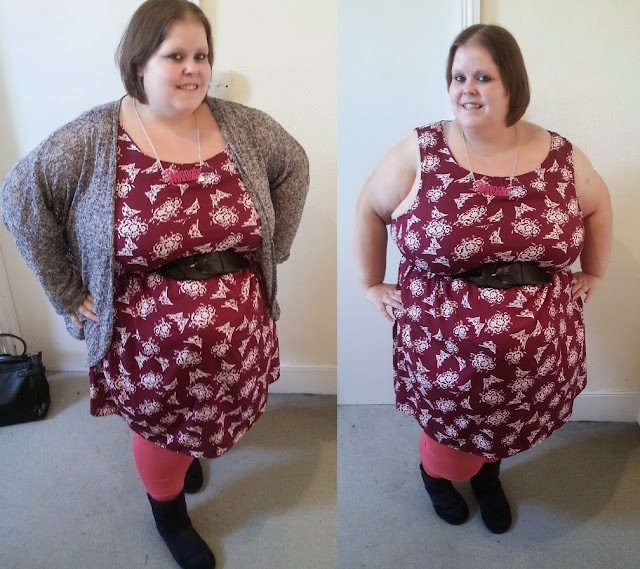 Of course, as ever I wish they would do more above a size 26 but I have talked about that before, so I won't rant again. To be honest with you, I wouldn't often think of black for summer - but then it's not a colour I wear very much at all. However, I do love this look and think it's great for a bit of coverage in the warmer weather. 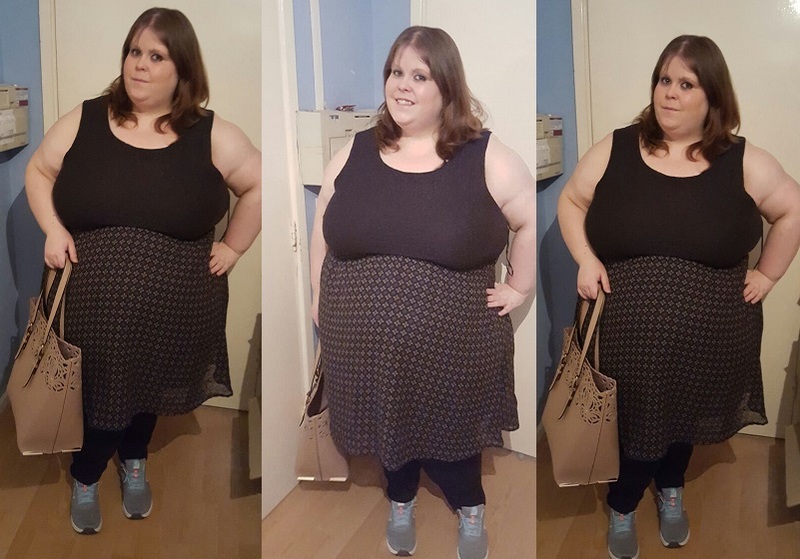 I'm wearing the Inspire Black Jersey Bardot Neck Maxi Dress in a size 28 and it fits great. I do love a maxi dress for summer - they are so easy to just throw on and know that you are going to spend the whole day feeling cool and comfortable. The arms/sleeves on this can be worn in different ways too. I styled this quite simply on this day, because it was just for a day out around the shops. However, I can see it with neon accessories and cute shoes to brighten up the colour a bit too! Do you have any New Look bits in your wardrobe? What are your faves? 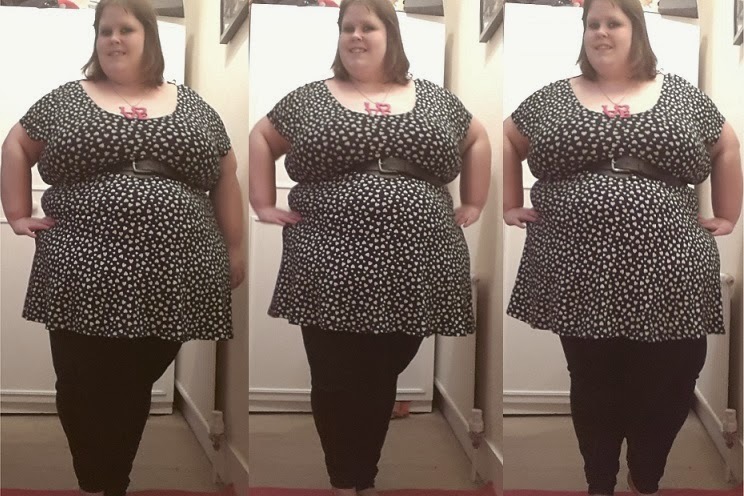 You might have seen a post I did before with Simply Be, looking at how you can dress the same as your smaller friends - even if you are plus size. 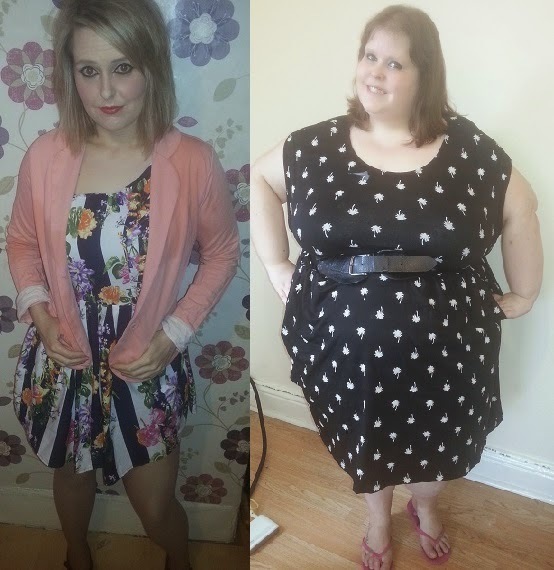 I wanted to show this in a different way and the lovely team at New Look were happy to help and kindly sent me and my sister a dress each! Once again I roped in my sister to help me and we set about choosing items to wear from New Look. It's great that we have a choice of using the same retailer even if our bodies are so different. With this post we decided to do something different and choosing non-matching items. 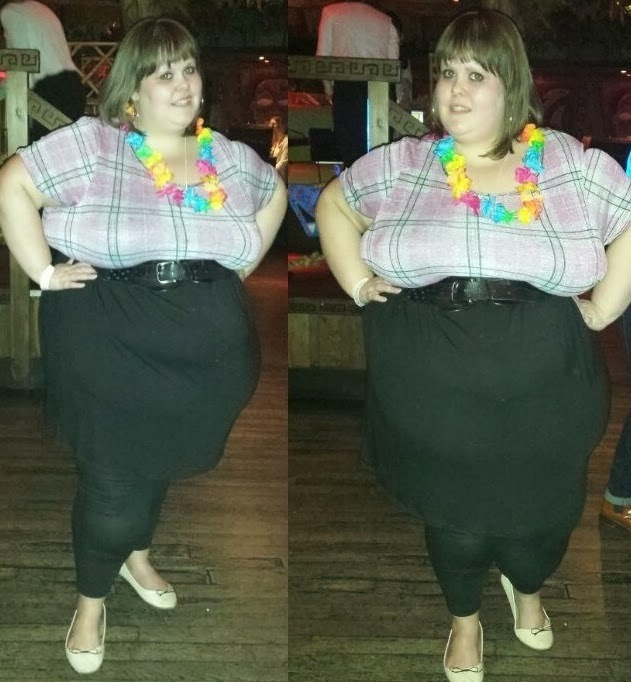 I wanted to show that you can dress however you want, even if you are different sizes. My sister and I want to dress differently, but that doesn't mean that we wouldn't enjoy a shopping spree in the same place - as you can see, New Look lets us do this! Lisa choose this Mela Navy Stripe Floral Skater Dress, which is out of stock now but there are plenty of patterns like it. It is a material that has no give or stretch in it, so that's worth remembering when you do order. It's only £24 too so bit of a bargain! 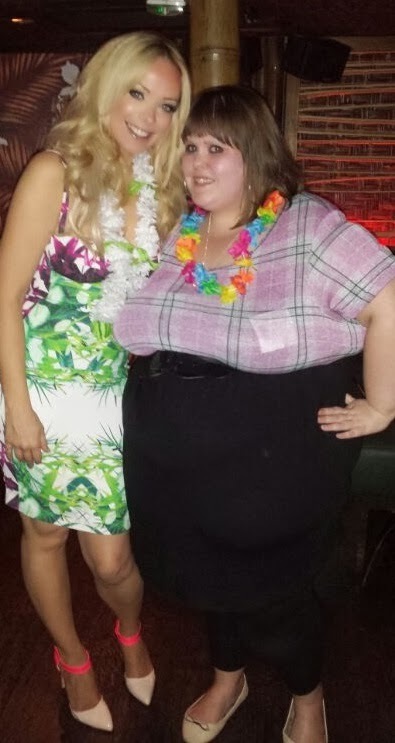 I chose this palm tree print dress from New Look Inspire and I love it. The dress is a lovely material and I found it to be a very generous size. I like the fact that it's black as I don't have many dark colours, but the pattern is also lovely and really breaks it up - and the dress has pockets, which I know so many of you love! It's less than £20 too! YAY! 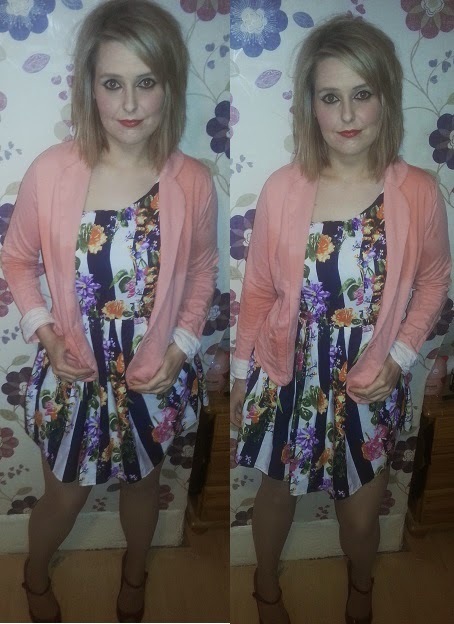 A couple of weeks ago, the lovely team at New Look gave me the chance to choose a couple of items from the Inspire range. You may remember the first item I received, the pink tartan dress. The other dress I chose I saved for last Saturday, which was my leaving do for moving away from London. 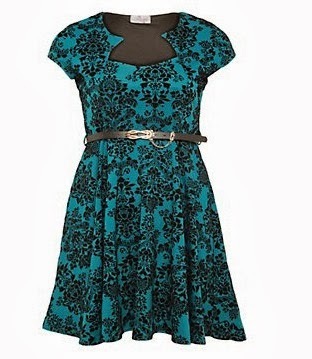 I chose this Inspire Teal Floral Mesh Panel Dress and I love it! I can't believe that I managed to pick up the dress for the bargain price of £8.00! I actually picked this up at the Tottenham Court Road store and it's showing up as out of stock on the website at the moment, but please keep your eye out for it! Believe it or not, I am wearing a size 24 dress... The elasticated underbust is VERY stretchy, I could have gotten away with a 22 just as easily. I have to say that this dress is a little different to what I usually wear but I love it! I love that it's from Inspire, which is doing more and more items all of the time - which is only ever a positive thing! You might notice that my hair looks a little different in the photos. 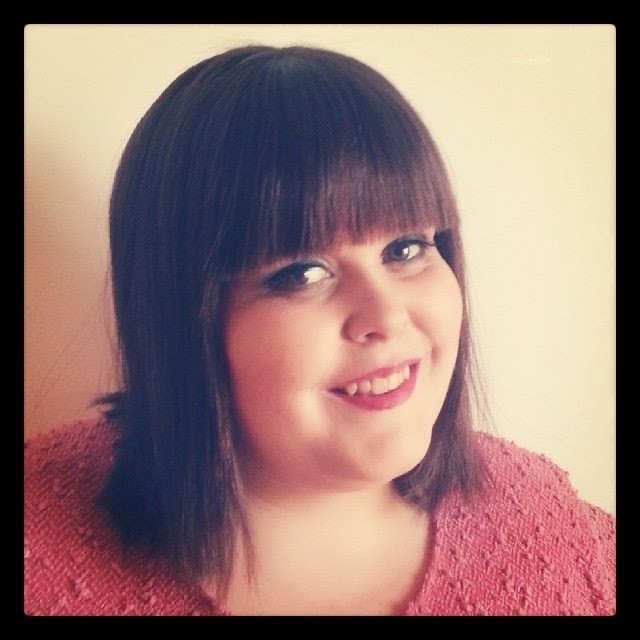 I actually had a hairpiece fitted and made (it's clip in) by the very talented Campbell Wigs... a full review of that will be coming next week, but make sure you check out their page! As you can see, it was a brilliant night! Have you shopped at Inspire lately? What caught your eye? I have read a few reviews of the twin packs of skater dresses from New Look Inspire, but I had never gotten around until trying them! Before Christmas I had £30.00 of vouchers, so decided to take the plunge. 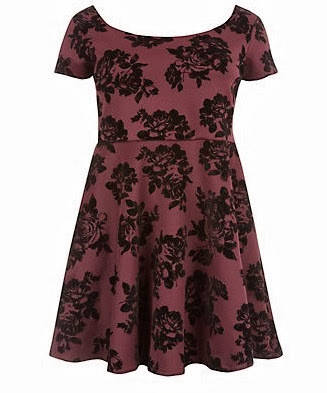 I went for a twin pack containing a heart print skater dress (as pictured) and a red one. I can't see it on the site now, but they do have some great ones for sale! 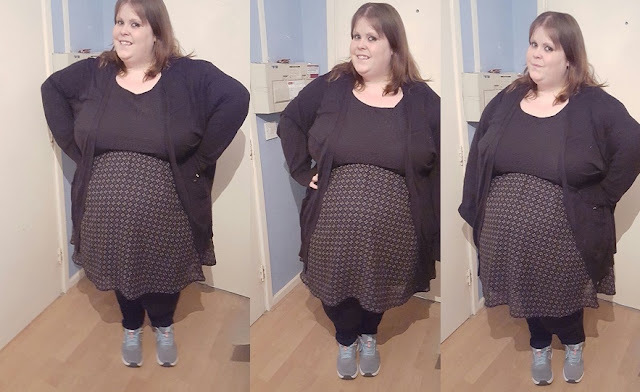 I found the dresses to be a great fit, although a little short to be worn without leggings. They're a decent quality and pretty stretchy what is great. 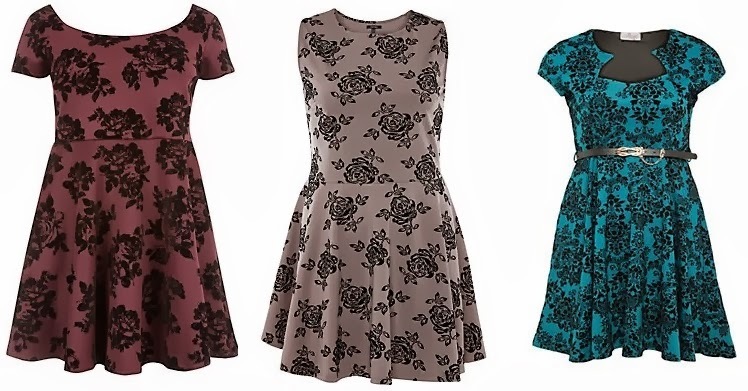 When you consider that these twin packs of skater dresses are £20.00, you really cant go far wrong. It's always have a couple of go-to dresses for day to day wear and these certainly cater to that. Have you tried any of them? What did you think? Just after Christmas I managed to snap up this dress in the New Look Inspire sale. It's a bit small for me, but I don't mind a cosy fit so its all good. I don't have any aztec type print dresses and I think it was about £12 in the Christmas Sale, so you can't go far wrong really! I teamed it up with leggings from Big Bloomers Company. 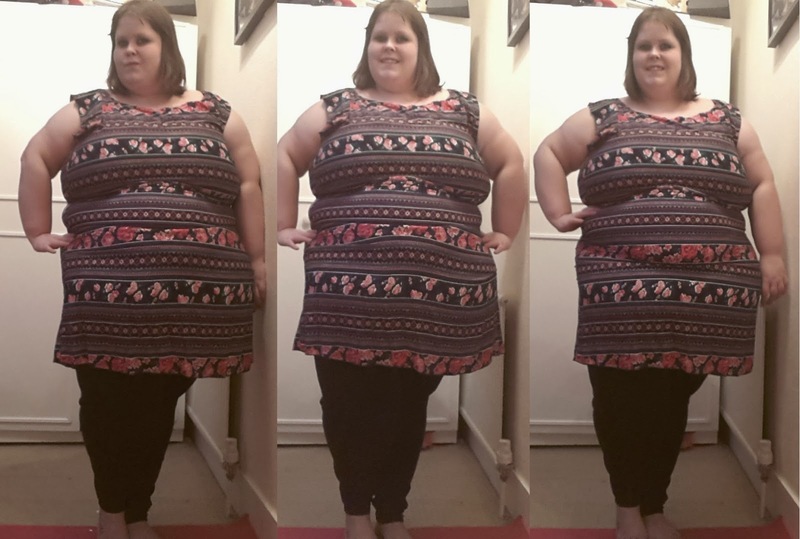 Last week The Big Bloomers Company contacted me about reviewing their products - their website is amazing and they offer all sorts of items up to a size 8XL. I chose their smallest size of leggings which were still a little too big for me - but how fantastic to have options for larger ladies. 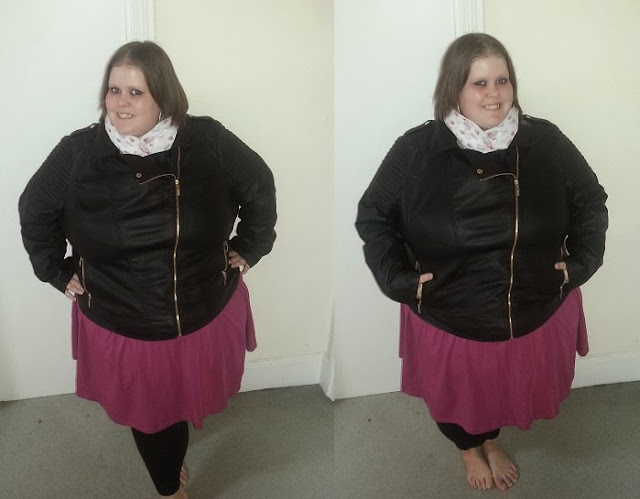 I have to say the quality of the leggings is fantastic and I'll definitely wear them with boots (so you cant notice that they're too long ha ha) and I would have no hesitation in recommending them. What did you manage to snag in the January sales? It seems to have snuck up on us, but now lots of retailers are offering a wide range of different flocked frocks - and I love it! What I love about the flocked style is that it turns what could be a plain dress into something different! 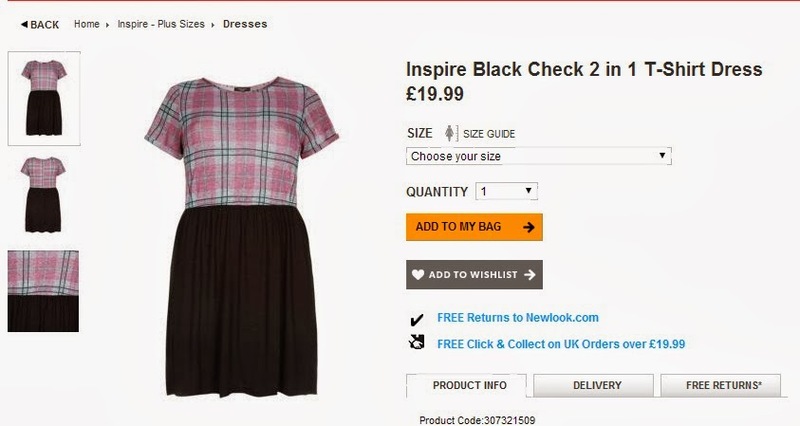 Whilst looking at the New Look Inspire range to see what they're offering this Christmas I noticed that they have a number of these dresses on sale. It's not quite my usual ABC style as the prices between them aren't that dramatic, but I love the dresses all the same! I am a sucker for a skater dress as you know and this one doesn't disappoint. What I like about burgundy is that it is a nice subtle colour which you'll be able to dress up in almost anyway that you want. This dress is yet another great Christmas dress offering that you can easily take from the office to after work drinks. It's only £24.99 and you can get it here. I really like the subtle colour of this dress too, but what I love most is the sleeves! 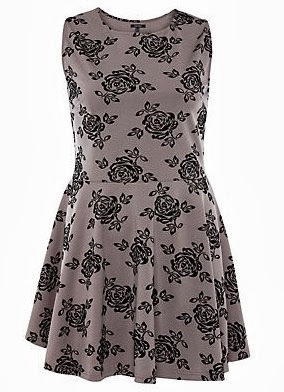 This shape of skater dress has caught my eye recently and I;d love to have this in my wardrobe. 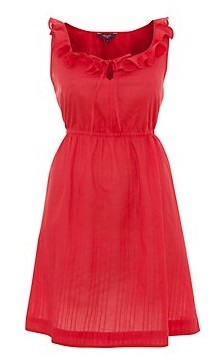 I can see this dressed up either with sparkly jewellery or go the complete opposite way and go for big bright colours. 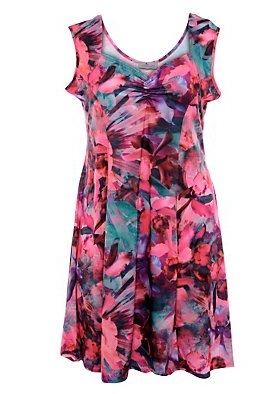 Although this dress is £40.00, its a great investment piece which you can continue to wear after the festive season. You can get your hands on this dress here. I love everything about this dress! I love how the bright teal colour and the flock effect work well together, it really makes the dress stand out and look different. However what I also love is the shape of the neckline which I think will be very flattering whatever body shape you have. 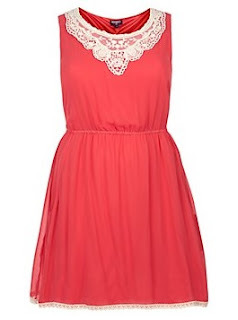 This dress is only £42 which means you won't have to stretch the budget too much to afford it! You can get this dress here. Have you seen anything you like from the New Look Inspire range this season? 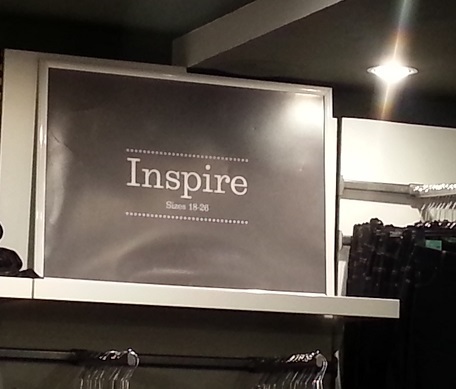 I have talked about the New Look Inspire range before, in fact I own quite a few of their pieces. I recently discovered that the New Look on Tottenham Court Road (London) has quite a big Inspire range in store so I thought I would go along and check it out! As you will see from the pics - the display is pretty impressive. 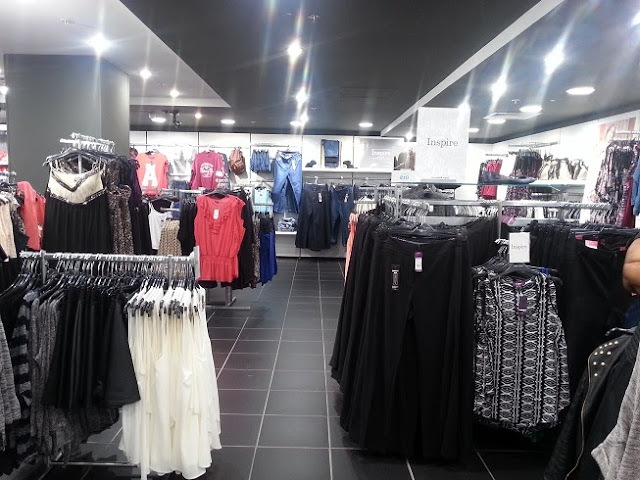 They have quite a big area dedicated to Inspire clothing, so you can easily browse for what you are looking for. There is a good selection of clothes - though I did notice a couple of items I liked on the website which I couldnt see in store. I did however fall in love with one of their beautiful leather style jackets and will be purchasing this in my size from the website ASAP! Do you have a New Look Inspire near you? What do you think of it?